When the only traffic jam is caused by a horse drawn cart laden with the grape harvest, or a black clad old lady ushering her herd of goats, a meander along the blissfully unspoilt rural byways of Costa Verde and Minho cannot fail to be relaxing. The countryside is a rich patchwork of maize fields and vineyards, with green vines atop tall granite pergolas shading spindly cabbages below and traditional wigwam shaped corn stacks dominating the landscape. Women, heads held high with produce, make their way to and from the fields, or from the river banks where the age old ritual of clothes washing and companionship takes place in defiance of modern technology. Hospitality is second nature to this unspoiled people and genuine friendship easy to come by. They are, quite simply, people who have time for people. Occasionally, these quiet unassuming folk will break the tranquillity of the countryside with their boisterous religious festivals or 'festas', which take placemainly in July and August. The abundant pergolas of the Vinho Verde grape produce young, gently fruity white wines. The rounder Alvarinhos are a worthy accompaniment to the freshly caught seafood or 'Arros de Marisco'- rice cooked with shellfish, and a variety of pork and chicken dishes, often casseroled and served with rice and vegetables. The portions are unfailingly generous and yet the restaurant bills for this fare are negligible. Northern Portugal is a land of vines and citrus fruits and therefore enjoys a sunny and warm climate. Especially beautiful is the month of June, when the countryside retains the fresh greenness of spring, the meadows are splashed with the blue and yellow of cornflower and buttercup and summer temperatures are well under way - around 25°C. Many of our houses in Costa Verde and Minho are equally accessible from Oporto or from the airports of A Coruña and Santiago de Compostela, widening the choice of flight possibilities. 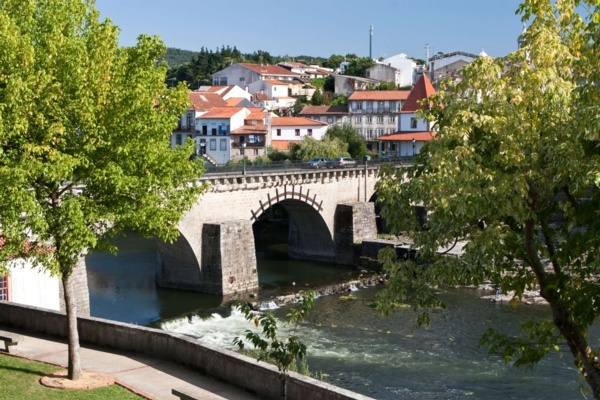 Perched above the River Cavado, Barcelos is probably best known for its weekly Thursday market and for its renowned emblem, the legendary Barcelos cockerel. The market is the largest in the country and sells everything imaginable, and the colourful cockerel, considered to be a symbol of good luck, is found throughout the town particularly in the many ceramics shops. The main shopping street is Rua Antonio Barroso, where many of the shops have not changed in decades. 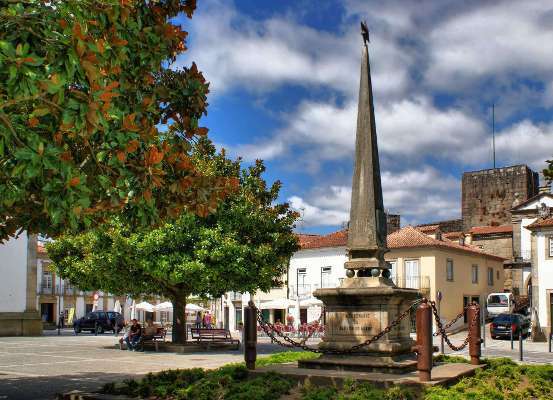 A wander around Barcelos will bring you to the small historic area near the river past medieval and baroque houses, the ancient Jewish quarter and several interesting museums and churches. There are many interesting walks in the surrounding areas which wind through woodland, small villages and along rivers and there are boat trips on the River Cavado. Alternatively, try one of the local delicious pastries with a coffee in one of the town’s many outdoor cafes. 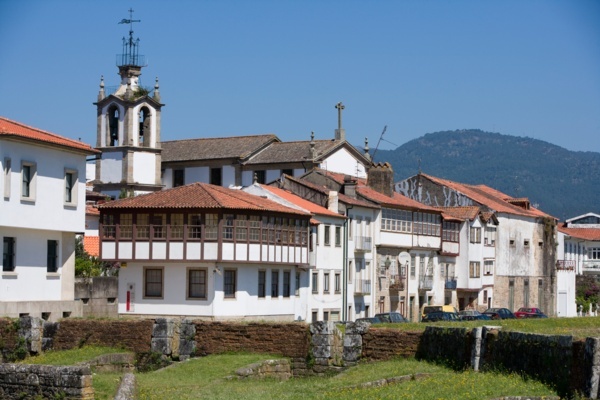 The town of Vila Verde is situated in the heart of the Minho and is therefore an excellent base for visiting many of the area’s highlights. The town itself is well known for producing the very pretty ‘Lenços de Namorados’ the Love Handkerchiefs which are hand embroidered and traditionally given by young girls to their sweethearts. The municipality is crossed by the rivers Homem and Cavado, both of which offer opportunities for fishing and canoeing as well as having several river beaches dotted along their banks. The surrounding countryside offers many opportunities to walk or cycle though the varied and beautiful hills and woods. The local council actively encourages walking in the area and has produced a variety of leaflets describing many of the best walking routes. 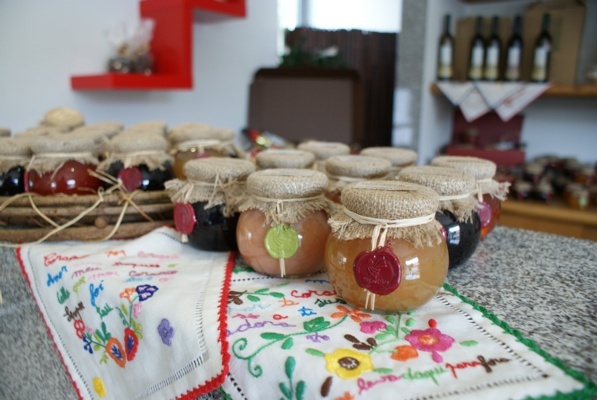 The Vila Verde area is proud of its gastronomic heritage, particularly the ‘Abade Priscos’ bacon pudding, invented by the Abbot of Priscos and frequently nicknamed the Pope of cooks. Surrounded by ancient stone walls and grassy banks leading down to a moat, the picturesque town of Valença marks Portugal’s northern border with Spain and forms a striking landmark as it sits atop a hill above the River Minho. In the oldest part of the town, the ‘fortaleza’, a typical cobbled road leads over a drawbridge and through an archway set into the impressively deep walls. Inside this charming area, a maze of ancient stone streets wend their way between colourful shops selling the beautifully designed linen and towels for which Valença is famous. Povoa de Lanhoso, a small town near Braga, has for many hundreds of years produced some of the best gold filigree in Portugal. In nearby Travassos there is a gold museum housed in one of the old workshops which are still in full production. Povoa de Lanhoso also has one of the smallest castles in Portugal, well worth a visit despite its size. The town has numerous restaurants which showcase the variety of regional dishes for which the Braga area is renowned. 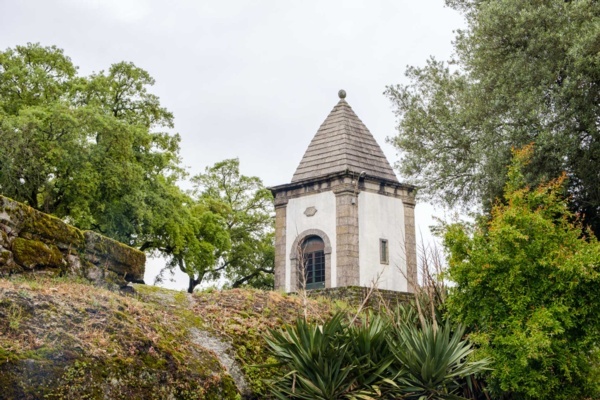 Nearby towns are Braga, Barcelos and the old town of Guimaraes while a short distance to the north lies the Cavado river with river beaches and beautiful walks through the wooded banks. This ancient town, the oldest in Portugal, has so much to offer its visitors: it has the largest concentration of Baroque manor houses in the country and the largest market too, held fortnightly on the banks of the River Lima. Its history dates back to Roman times, as does the bridge from which the town takes its name. There are many attractions here including the annual Garden Festival, canoeing on the river or cycling and walking on the ‘Ecovia’ which runs along the river banks to an established nature reserve. 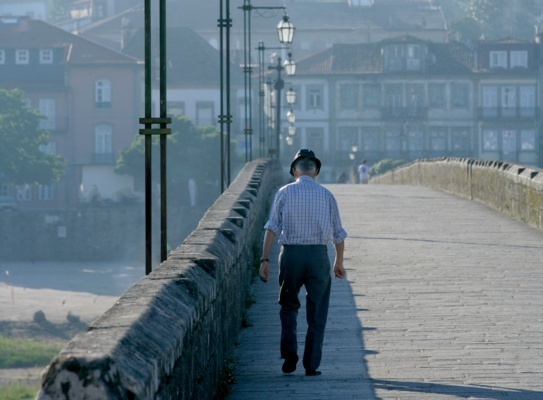 Although there is always something new to discover in Ponte de Lima and there is nothing more relaxing than taking a coffee in the old square in front of the river while watching a band playing, there are nevertheless other nearby places to visit including the walled town of Valença, Ponte de Barca, Guimaraes and the stunning National Park of Peneda Geres. The extensive sandy beaches of the coast are within easy reach too. Moledo beach has long been a favourite choice for politicians and stars of the stage and screen. The long beach is popular with surfers and families alike and has a sprinkling of cafes and restaurants along the front. There are views towards Spain and over the island of Insua which contains a defensive fort, although the building was originally built as a convent. The old village of Moledo, which can be reached via a bridge across the coastal road, is a very attractive and traditional community with friendly neighbours and some interesting buildings. In the heart of the village is a shop/café which, though small, seems to stock everything you could possibly need. Nearby, a family run restaurant serves excellent food at a very reasonable price. 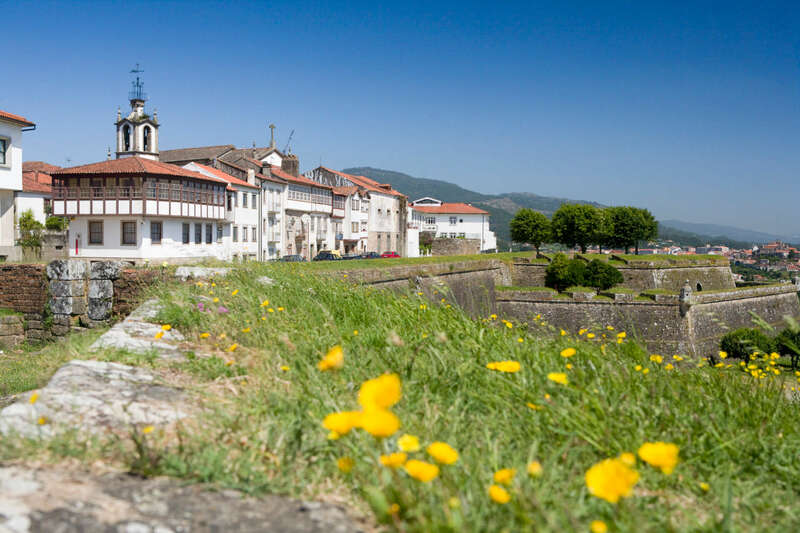 The pretty market town of Caminha is set on the mouth of the River Minho, which forms a natural border as it reaches the Atlantic between Portuguese Caminha and A Guarda in the Spanish region of Galicia. Historically known for its exports, it is now a lively summer destination where day to day life is focused on the elegant market square, where locals and visitors mingle and enjoy a glass of local port from the cluster of cafés and restaurants that line the cobbled streets overlooking the 15th century Renaissance fountain. The town’s weekly Wednesday market takes place on the riverfront, selling local produce such as fresh fish and a typical Portuguese dry-cured ham, presunto. 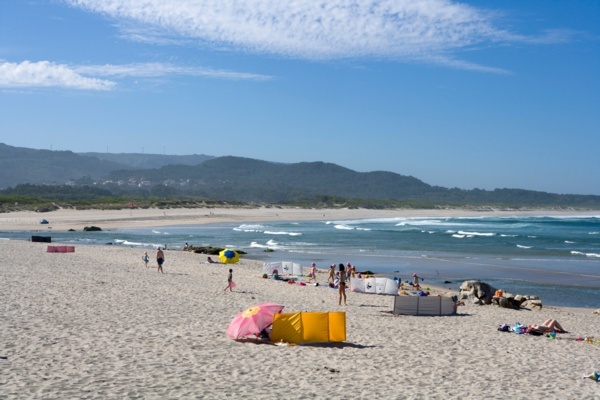 At the mouth of the Minho, backed by pine trees, is the family friendly Foz do Minho, a typical river beach. Round the headland the stunning whitewashed coastline of Praia da Caminha meets the Atlantic Ocean, a popular spot for windsurfers. With its close proximity to Spain visitors can take advantage of the daily ferry service from Caminha’s port to the popular fishing town of A Guarda in Galicia. Braga is Portugal’s 3rd largest city and the oldest, and, as the former religious capital, it boasts no fewer than 300 churches and monuments. It is a busy city with a young population, but the mainly pedestrianised historic centre has many worthwhile points of interest. The cathedral, the oldest in the county, was built in the 12th century and displays many different architectural styles. Nearby is the former Archbishop’s Palace, now a public library and fronted by glorious flower gardens. In addition to impressive architecture the city has recently unearthed Roman remains and even a pre-Roman boathouse. 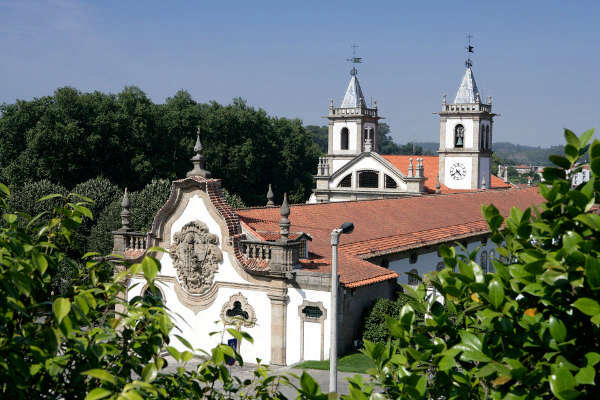 3 kms from the centre of Braga is the sanctuary of Bom Jesus, a pilgrimage site with a massive Baroque stairway where during Holy Week pilgrims still climb up on their hands and knees. Braga also caters excellently for visitors’ culinary requirements, having some excellent restaurants and choice of dishes. 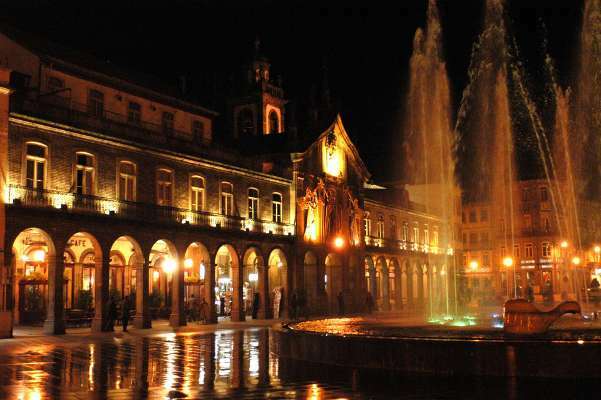 All in all, Braga is the perfect destination for a mix of history, culture and cuisine. 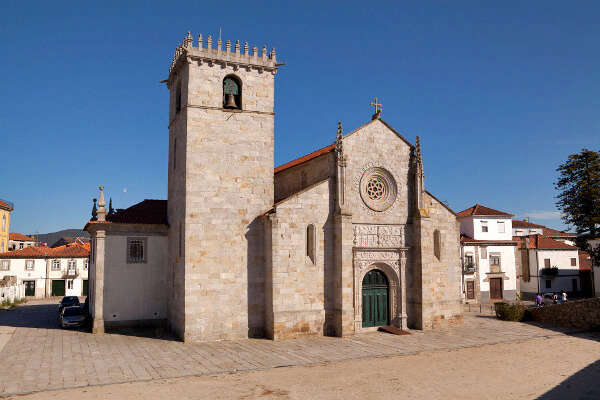 In the heart of Santo Tirso is the old monastery of Sao Bento which dates from the 8th century. Now an agricultural college it also contains the local museum. There are many convents and monasteries hidden in niches throughout the town and many of these welcome visitors. Many visitors attend the International Guitar Festival held here as well as the Craft Fairs and the excellent sculptures in the International Sculpture Museum. The nearby rivers, the Ave and the Leça, provide opportunities for nature walks along their banks. 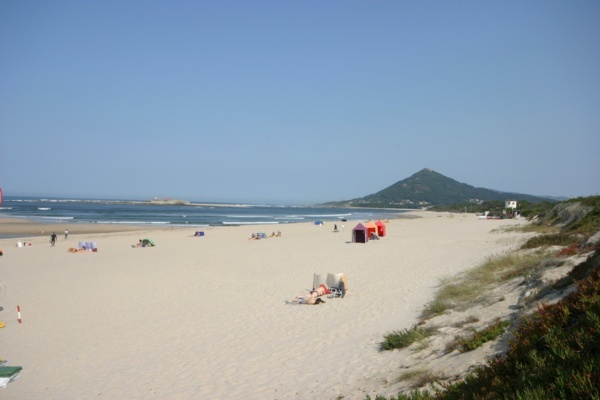 Advantageously situated on the waterfront at the point where the Río Cavado meets the open ocean, Esposende is a charming coastal town with a bustling centre and a stunning sandy beach. A wander along the wide, palm-lined boulevard that follows the waterfront along the riverside will reveal cafes and restaurants with terraces overlooking the water and open areas for children’s play or for simply sitting back and watching the boats in their moorings below. This meets the sea at the northern end of the town, where wooden walkways provide access through the sand dunes to the wide golden sands and open ocean, a particularly favoured haunt for surfers because of the quality of the surf. Although small, Vila Nova de Cerveira has much to offer in the way of interesting architecture and a varied cultural scene. Established by King Denis of Portugal in 1321, the castle he ordered to be constructed is very central to the town and, as well as a pousada, houses the old Town Hall, the old court, a pillory, barracks and warehouses. The town is host to a biennial arts festival, although several sculptures dotted around the town are on permanent display. Vila Nova is situated on the left bank of the River Minho where a recently constructed river path extends for 13 kms, providing walking and cycling routes and providing the chance to spot much of the wildlife which lives alongside the river. 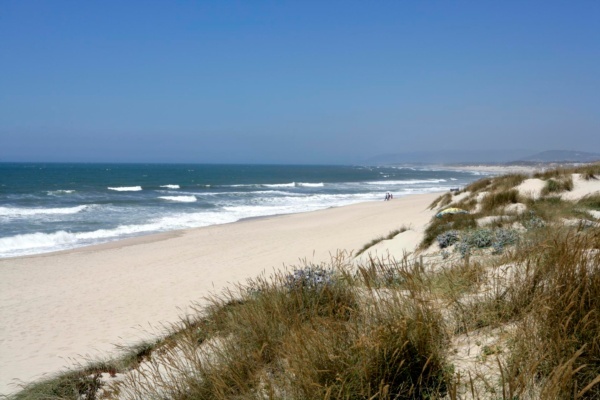 Regularly included in lists of the top beaches in Portugal, the beach at Praia da Ancora has calm waters and beautiful soft sand making it ideal for families. Praia da Ancora is originally a fishing town, and fresh fish is sold down by the old harbour most days. This means that the many restaurants in the town have excellent fish on their menus too. Praia da Ancora is well situated for visiting many different beaches and towns in the area including the beach at Afife where there is a surf school. Follow the coast road down to Viana do Castelo where a funicular railway takes you up to the Basilica de Santa Luzia from where there are amazing views over the River Lima.